4 Great Mountains, 1 Great Trip! Price includes flight and ground transportation from TPA to the resort and back, 7 nights lodging, welcome reception, an après ski party or two, a farewell banquet, and tons of fun! Download the PDF trip application. Ski or board four super resorts, each with its own special appeal, on one lift ticket. 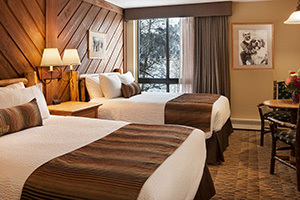 Enjoy slope-side lodging at the Stonebridge Inn. We fly into Aspen, so the bus ride from airport to lodge is a mere 15 minutes. The fabulous hot buffet breakfast at the Stonebridge is available as an optional adder so you can start every day off right. 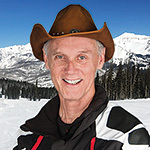 Join Mike and Bruce on this fun trip to see why Snowmass is a favorite of many of our regular travelers. Or, come back because you already know. Buttermilk Mountain – Home of the ESPN Winter X Games through 2019 - Buttermilk has a dual personality. On one hand it‘s designed primarily for learning and improving your technique on long and easy runs, with scenic views of nearby Pyramid Peak. On the other hand: boarders! Check out the great bumps on Sterner or learn how to ski the trees in Timber Doodle Glades or drop into the 22-foot Superpipe. Buttermilk has earned the #1 ranking for a fourth consecutive year from Transworld Snowboarding Magazine. The Hideout, Buttermilk’s new children’s center will inspire children to enjoy mountain adventure and explore new challenges. If you’re looking to start out easy ... or looking to be the next big thing in freestyle skiing and riding, Buttermilk is the place to be. Locals head for the black runs on Buttermilk, especially on powder days - one of Aspen's best-kept secrets. SKI & RIDE Aspen Mountain - This is where it all began some 70 years ago. From the beginning “Ajax” is still one incredible mountain to explore. It’s ideal for intermediate to expert skill levels as it offers some of the most challenging trails in the world. From the steep, gladed runs of the "Dumps", to the incredible bumps on Ruthie's Run, Aspen Mountain is truly the athlete's dream. Shoppers will love Aspen and the variety of shops all over town. Here one will also find two of North America’s best mountain restaurants: The Sundeck and Ajax Tavern. And … It’s Aspen, dude! This is the ski resort that all others aspire to be! 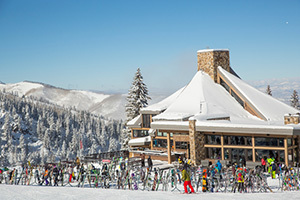 SKI & RIDE Aspen Highlands - has always been a local's favorite with uncrowded slopes, terrific views, a friendly atmosphere, and exciting and diverse terrain. There’s something for everyone here from the gentle beginning slopes, to the beautiful intermediate cruising terrain, to the more challenging Steeplechase. 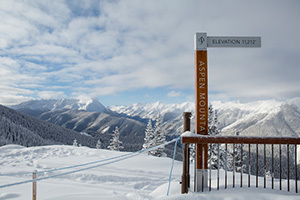 Aspen Highlands is a multi-faceted area with terrain to satisfy every level of skier and boarder. 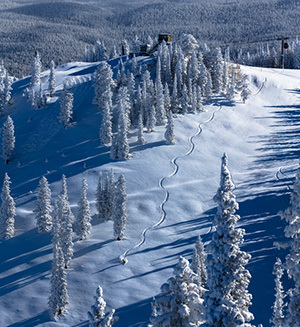 Locals love its hidden stashes of powder and the pristine runs of Highland Bowl. Expert skiers flock to their pick of the steeps off the Deep Temerity lift. There are several brilliant cruisers mid-mountain for beginners and intermediates. Don’t miss the unobstructed views of the famous Maroon Bells, while dining on fondue and raclette from the elevated perch of Cloud Nine Alpine Bistro. 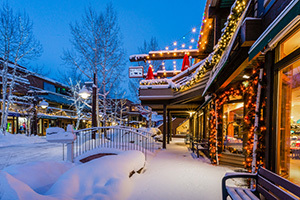 DINE, SHOP, & MORE – Snowmass Village and nearby ASPEN offer many places to eat, shop and explore the nightly entertainment. Snowmobiling, sleigh rides, cross country skiing, hot air balloon rides and dog sledding are also available. We are staying at the Stonebridge Inn. We have hotel rooms with two queen beds, and rooms with a single King bed are typically available upon request. We also have a few 2-bedroom condos at the adjacent Terrace House property, but at the time of this writing they are all sold out. If you want a condo, please call to see if that may be possible. The Stonebridge Inn was selected for two consecutive years as one of the 50 Top Ski Resort Hotels in the United States by Condé Nast Traveler magazine. 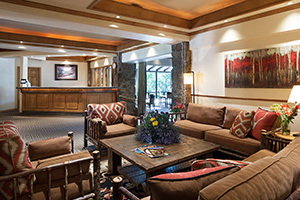 The Stonebridge Inn is an intimate alpine lodge in the heart of Snowmass Resort. 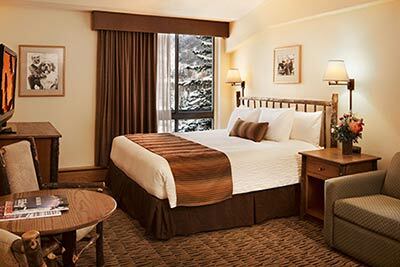 Offering slope side convenience, luxurious amenities, fine dining and the warmest Rocky Mountain hospitality, it presents an ideal lodging option for a fantastic Colorado vacation. 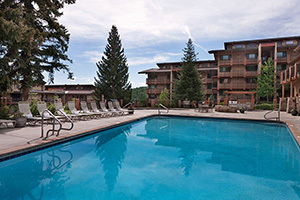 The Stonebridge Inn also offers an outdoor deck, state-of-the-art work out area with the latest in exercise equipment, daily maid service and WI-FI at a full-service boutique hotel in Aspen-Snowmass. With fine dining, swimming pools and mountain streams flowing through the properties, the Stonebridge Inn offers an outstanding experience for the discerning mountain traveler. Massage, facials, esthetics, yoga & more! 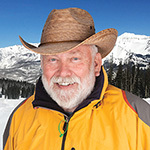 In addition, Mike and Bruce are planning fun activities for our group, including one or two Après Ski events and a dinner. They will also assist with discounted lift tickets and rental equipment. Leave the details to them and enjoy your vacation. This trip is already selling quickly, so act fast and don’t get left out. Send in your deposit today with a completed trip application! As of this writing, a very limited number of rooms are still available. Contact the Trip Leaders to see if space is available. Children under 12 years old with two accompanying adults in a room are $1022 each. This applies if you choose to get your own air. Ground Transportation is not necessarily included for Resort Only travelers but may be available if the traveler can meet the bus on time and space is available. Contact the Trip Leaders for details. Seven days hot breakfast buffet at the Stonebridge Inn is available for $125 per Adult, $69 per child (ages 7-12), and free for children 6 and under. Prices include tax and gratuity. Prices are per person. Accommodations are assigned in order deposits are received. No space is held without a $250.00 per person deposit. Early commitments get first choice! All prices reflect a cash discount. There is an additional charge for credit card transactions. Round trip airfare from Tampa to Aspen, transportation to Snowmass, 7 nights lodging, applicable taxes, welcome reception party, Aprés ski, and final banquet party. Discounts on lift tickets and ski/snowboard rentals are available. An entire week of fun and great skiing. All cancellations must be received in writing by December 7, 2018. See cancellation policy on the 2nd page of the trip application. Make checks payable to "TAMPA BAY SNOW SKIERS and BOARDERS" and mail to: Mike Pearson, 216 W Minnehaha St, Tampa, FL 33604 • Attn: TBSSB-Snowmass.